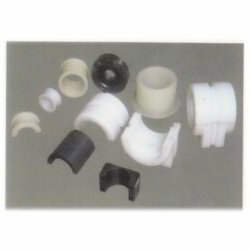 Prominent & Leading Manufacturer from Nagpur, we offer bushes & bearings. Owing to a long-term destination for our business, we are engaged in offering a wide gamut of Bushes & Bearings. Offered product is suitable to be used in both the engineering and automobile industries. Our product is manufactured by professionals using high quality material and advanced techniques in fulfillment with prevailing market trends. Clients can avail this product from us at competitive price. Looking for Bushes & Bearings ?